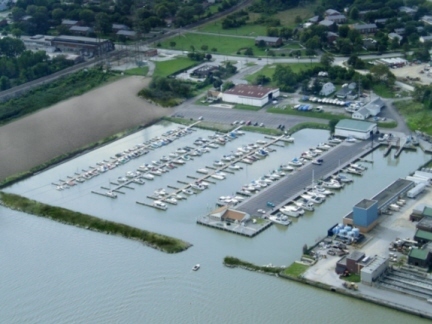 Brenner 75 at Harrison Marina is a multi-level Full Service Marina Complex located on the western basin of beautiful Lake Erie. Our marina is minutes from Downtown Toledo, and offers immediate deep water access to Lake Erie from the mouth of the Maumee River. We are pleased to provide the Boating Community with: Friendly, Personalized, Professional, and Dependable Service, in a clean and inviting Maritime Atmosphere. If you want family fun in the sun, you can find it at Brenner 75 at Harrison Marina. For more information please call 419-729-1676. 256 In Water Floating Docks Electric and Water Hookups optional We have 256 floating docks. Dock sizes range from less than 20 foot to 50 foot docks. Most have utilities included, and drive up docking is available. We have both inside cold, inside heated and outside Winter Storage available. Let our knowledgeable staff help you with your winterization needs with complete engine services and shrink wrap available. Nothing is more important than your boat ... to us! Come and check out our NEW Parts Store. With a wide variety of boating supplies from the names you've come to know and trust over the years: Mercury, OMC, Quicksilver, Seachoice, Teleflex, and many more.